One of the most exciting End Times' prophecies is that, at the End of the Age,all nations of the world are going to be reorganized into Ten (10) supernations, each one with a leader (Daniel 7:7-8). Antichrist can arise only after this global reorganization has been completed. The Club of Rome created a global reorganization in 1972, and it printed the plan in a book entitled, 'Mankind At The Turning Point'. After many years of moving forward on this plan very slowly, the pace has suddenly jumped forward! Antichrist may be closer to appearing than we had previously believed. 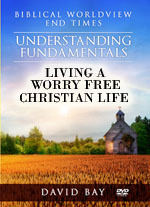 Yet, even though the majority of news every single day is moving the world rapidly toward this prophesied 10-Nation set-up, none of the Mass Media and very few of the Christian media are even aware that this exciting prophetic advance is being made. We examine each of the 10 Supernations being created, and demonstrate how the news of the day is propelling the fulfillment of this great prophecy. 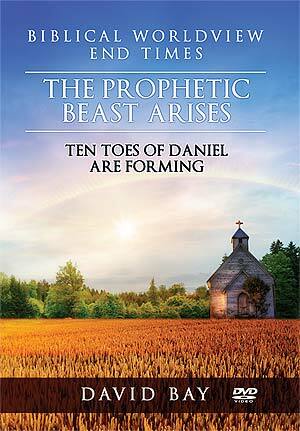 You will be amazed and thrilled to learn how events that you had written off as being of no lasting value are really working hard to re-create the world into the 10 Toes (Supernations) of the prophet Daniel!